The Agora Credenza collection is clean and crisp in its simplicity, and brings a sense of orderliness and professionalism wherever storage is needed. Customize the size and choose from bookcase, doors, drawers or file drawers. 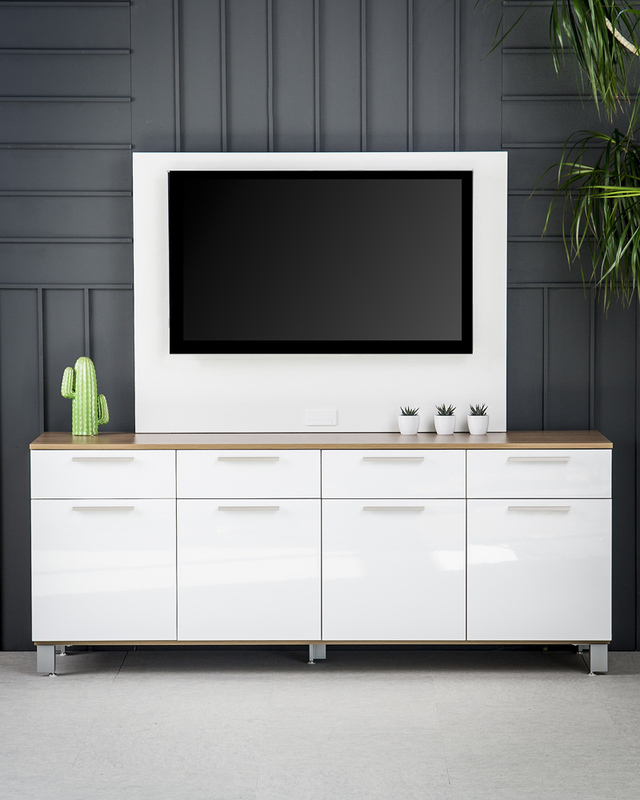 Use Rouillard’s media wall to design a credenza with a cohesive and seamless look. The steel frame can support a monitor that is up to 60 inches in size. All in all, the Agora Credenza collection will transform and help organize your precious workspace. * The Media Wall option is only available on units that are a minimum of 48'' wide.